Some of the sharpest online vehicle merchandising minds in the game truly stepped up to the plate at Digital Dealer 17. Check out these (sometimes shocking) facts, stats, insights, tips & tricks. I. Don Mullen, Regional Director of PureCars.com. The number of sources of information online that vehicle buyers look at while shopping is … up. Way up. Up from 18 in Google’s 2012 ZMOT (Zero Moment Of Truth) to 24 now in 2014. And now buyers actually visit ONLY 1.4 dealerships before they buy! 47% of auto queries are coming from mobile. 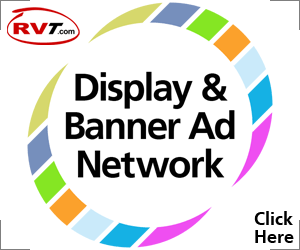 NOTE: On RVT.com, organic searches come into our site 20% mobile, 20% tablet and 60% desktop = total of 40% on mobile devices, so quite similar to the way people shop for cars. 44% of buyers use their mobile device to shop while they’re at a competitor’s lot. Don says, according to Cobalt the most common automotive search is … wait for it … color. “Every single participant in our inventory shopping study made color a top priority. They wanted to see the actual color in the search results listings. They also wanted to search and filter by color. In fact, color was the key vehicle feature that consumers looked for FIRST when browsing inventory. NOTE: What does this mean for the RV sector, with all the gorgeous new colors coming out in full body paint? Will color become an “expected” part of all RV listings as well? QUESTION: If color is so “all-important” in the purchase of a car, why do more RV dealers (and OEMs for that matter) NOT advertise color very effectively? Color selections? Why are we not driving color hungry consumers to color choices so we drive traffic, generate leads, grow inquiry and help guide purchase decisions? The consumer seems to be wired up to want to buy color and we’re not actively feeding our gorgeous color offerings to buyers when they’re in the shopping phase of purchase. Think About Your Messages & Your Landing Pages. 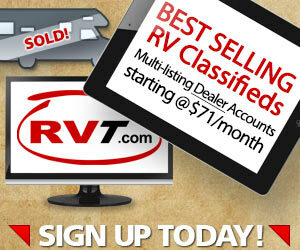 5 clicks to your dealership name where they land on your home page? 1 click to: Black | 4 Runner | leather | under 30k that lands on that vehicle’s detail page (the VDP, or as we call it in the RV biz, the RVDP)? Why wouldn’t you continue to market to a buyer and show them the vehicle they had looked at? Show them the best things about that unit? Matching exact VDPs in your re-targeting display ads is now possible. Used to be a stimulus that brought buyers to your store. Now, traditional media brings buyers to search. Let your competition dominate traditional media. You be online waiting for buyers who arrive to search! With the volume of lead submissions decreasing, cost / lead is an “off” metric. NOTE: RVAdvertiser agrees. But while, lead volumes are decreasing in Auto, it’s exactly the opposite on RVT.com. Lead volumes are up. Up 5% for Internet leads and up almost 10% for phone-in leads. YTD 2013 over 2014. Good to know. It’s easier than ever to shop but harder than ever to sell because it’s tough to create a relationship before the sale. 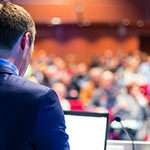 YOUR OPINION COUNTS: Are you seeing the same thing in RV? More research being done online and fewer lot visits than in the past? New car buyers spend 11.5 hours online looking. FACT: If they’re on your lot … they’re buying from you or the very next place they go. 37.5% of buyers enter the market WITHOUT a brand in mind. 44% of buyers who submitted a new car lead, defected to used. Defections to used are huge when the lead matures to 30 days old. 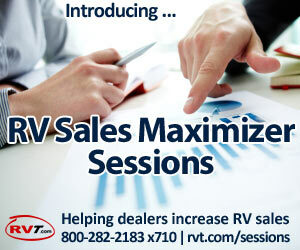 Scott’s recommendation to dealers: At 30 days switch to marketing used vehicles to all your leads. 84% of buyers are not going to buy what they 1st inquired about. How Many Calls Does It Take To Get The Consumer? Are you showing up for the 2nd half of the game? In order to “sell” appointments, you have to substantiate why they should come in for an appointment. This question gets prospects talking, thinking about the use of the vehicle and divulging info you can use to help them buy. Text is becoming huge in auto sales! Texting is a new level of communication. Scott surveyed 1 random audience member: She had 475 unread emails, ZERO unread texts. NOTE of CAUTION: Remember TCPA Regulations. You must have permission to text. And remember, emails are mostly read on phones. Email accordingly. Your Turn: What’s your 1 big take-away? What are you going to do?